You cannot imagine more cuddly dog then Pero. He was abandoned as a baby and he grew in the neighbourhood of one of our volunteers, Bistrik near one of Sarajevo's cult places - Jedilerska Tekija. He, and his friends from the neighbourhood, is fed daily by our volunteers. Even with an empty tummy, whenever they come Pero asks for cuddling more than for the food. We vaccinated and castrated him and do our best to protect him from dangers of the life in the street. Few days ago Pero started to limp. We do not know if he was hit by a car or beaten by mean people... We could not leave him in agony in the street so we placed him in the same foster family where Coco, Kiko and Rebeca are. Now we need to find money for foster family and his medical treatment. It is a custom for people of religions in Sarajevo to come and put few cents in each of 7 windows of Jedilerska Tekija for their wish to come true. 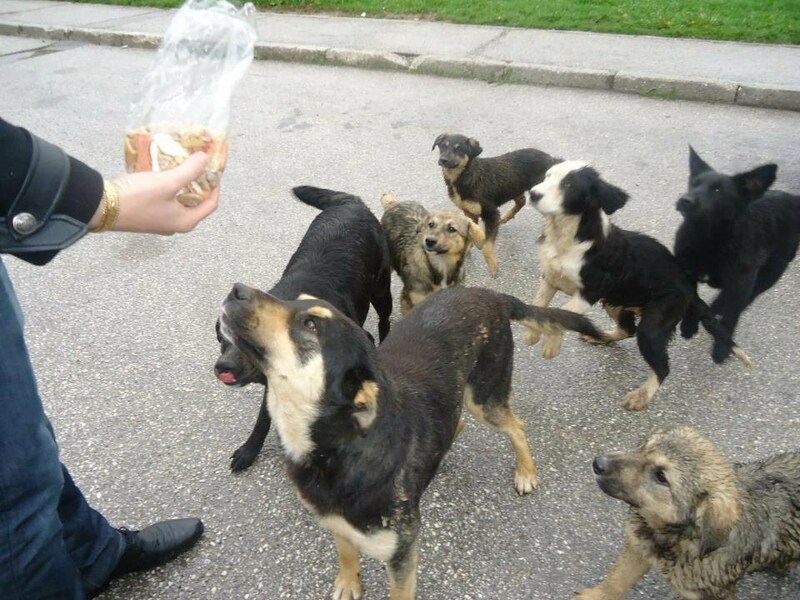 Pero, as many of abandoned dogs in Bistrik has his own wish - to survive. And if he dares to wish for more, he would like to have a real family and real home. Pero does not have few cents to put in windows of Jedilerska Tekija but you, if you could spare some change can donate it for Pero, his medical treatment and, hopefully, journey to better life.